In Florida, a driver is considered legally intoxicated if they have a blood alcohol content of .08 percent or higher. However, even a small amount of drugs or alcohol can impair a person’s ability to drive safely. If you have been injured in an alcohol-related accident, contact our lawyers for a free initial consultation about your rights and options. At The Umansky Law Firm, our DUI accident attorneys represent victims of impaired drivers in Orlando and other communities in Central Florida. Even if the drunk driver avoids criminal prosecution, introducing evidence of the other driver’s alcohol use can have an effect on a civil personal injury case. Juries don’t like it when people drink and drive, and that can be a factor in determining how much compensation they award to the victim. According to the National Highway Traffic Safety Administration, even a small amount of alcohol can affect a driver’s vigilance, perception, visual function, and judgment. To prove that alcohol was a factor in causing the accident, our attorneys must establish that the driver’s intoxication had an effect on his or her ability to operate a motor vehicle safely. What Kind of Compensation Might I Recover? We are also committed to pursuing punitive damages to punish the driver who did you wrong. These damages are very difficult to win without the influence of an attorney on your case. 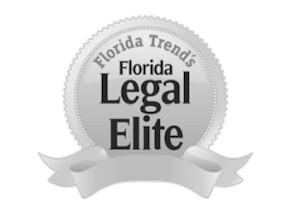 Why Work With Our Orlando DUI Accident Lawyers? Our experience as former DUI prosecutors and attorneys with DUI defense backgrounds gives us a broad understanding of the issues in a drunk driving accident case. We know how prosecutors put drunk driving cases together and we will use that knowledge to help prove your personal injury case. In many cases, we can also seek punitive damages because of the drunk driver’s illegal conduct. To schedule a free initial consultation with an Orlando personal injury lawyer at The Umansky Law Firm, contact us through this website or call (407) 228-3838.